Suffering from a debilitating hangover? Looking down at your newly acquired compound leg fracture after Orlando Bloom-ing your fast-roping exercise? Unable to reconnect your head to your body? 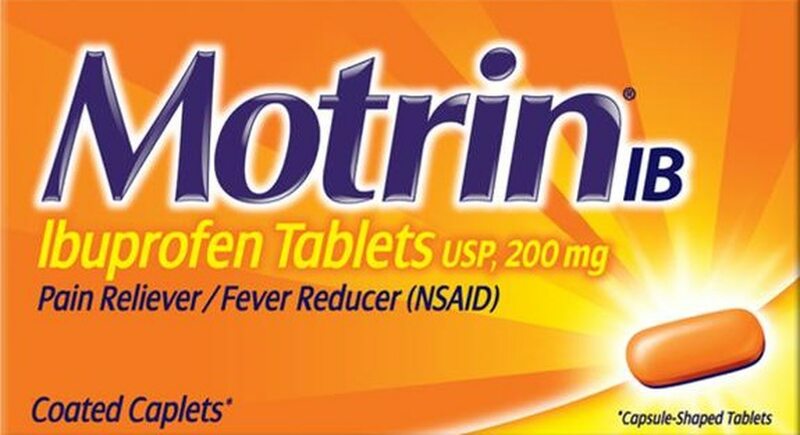 “Nothing a little Motrin and water can’t solve,” every military medical practitioner says. Little did English doctor Stewart Adams know at the time of his discovery of the groundbreaking compound — 2-(4-isobutylphenyl) propionic acid, also known as “ibuprofen” — that it would one day become the cure-all for pain, injury, illness and ferocious bouts of hurt feelings endured by generations of U.S. military personnel. A pioneer of medicine, Adams passed away Wednesday at the age of 95, his son confirmed to BBC. Adams began his medical journey as a 16-year-old apprentice in a retail pharmacy shop before going on to earn a PhD from Leeds University and turning his attention to medical research that would forever reshape an unsuspecting, pain-ridden military across the pond. After feverishly experimenting — and failing — for 10 years on a number of compounds he hoped would provide pain-killing effects for patients suffering from rheumatoid arthritis, Adams and his team of chemists broke through with the discovery of ibuprofen. “I did think we would succeed eventually — I always felt we would succeed," Adams told BBC in 2015. It was a fateful morning in his earlier years, however, when Dr. Adams discovered ibuprofen’s limitless application. After drinking heavily with his mates the prior evening — as one does — Dr. Adams awoke to a throbbing headache. Scheduled to deliver a speech early that day, the hangover-riddled doctor turned to his new concoction for assistance. The medicine would be patented in 1961 and was made available over the counter by 1983. Nary a medicine cabinet can be searched without coming across some brand variation of Adams' discovery. “He is remembered for his successes in creating one of the most important painkillers in world but, as with many inspirational people, he had to bounce back from failures in earlier clinical trials before he and his team created ibuprofen,” University of Nottingham Professor Kevin Shakesheff told BBC. And change the world Dr. Adams did, especially in the United States, where every branch of the armed services would adopt Motrin as the Holy Grail of medicinal discoveries. To this day, no matter how close an injury may bring a service member to death’s doorstep, a recommendation of Motrin and water is sure to find its way into the medical record of the afflicted. Dr. Adams would go on to spend the rest of his career as the head of pharmaceutical sciences for the medical research organization, Boots UK. In 2015 at the age of 92, he told BBC he was most proud of his discovery being available to millions of people around the world. Who knows where we would be without it? It was as recently as the turn of the 20th century, after all, when Americans were buying handy dandy travel kits of Bayer heroin, a syringe and two needles out of Sears, Roebuck catalogs for $1.50. We salute you for a lifetime of achievements, Dr. Adams. Raise your glasses of water and pop one to three Motrin every four to six hours to honor the medical trailblazer who forever changed the military.